YouTube sensation William Singe completing the last leg of his tour in Toronto, Canada decided to make a stop at Forever Young Ink for a new Tattoo. This is how it all went down inside 522 Queen Street West. The relationship between Drake and Skepta has been well documented throughout social media. Drake, whom some accuse of riding waves, has shown immense appreciation for British culture and music. Drake even has a tattoo to let fans know it’s real. 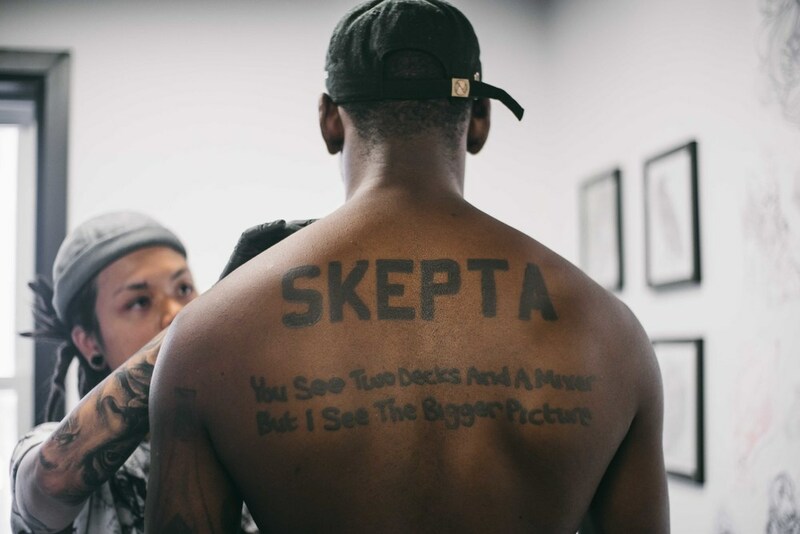 Last year, the Toronto superstar tattooed the logo of Skepta and JME’s label, Boy Better Know. Plus, add that to the fact Drake brought Skepta out at OVO Fest in Toronto last year and even appeared in a small club to party with the Section Boyz. This appears to be one instance Drake is just showing his appreciation for a culture, not wave-riding. This year, Skepta didn’t make an appearance at OVO Fest even though he was in Toronto. Instead, the London MC decided to return to the U.K. with something even more memorable. Skepta took to his Instagram to show a tattoo of his own, the signature OVO owl. The photo was captioned, “From Toronto with solid bullet proof love.” Skepta also went to Instagram to let fans know that he isn’t stopping with just this tattoo. The grime star plans to eventually have all the skin on his body inked up as well. This cross-continental bromance definitely appears to be a forever thing. "The tattoo was very spontaneous but he was committed to the idea of 'Forever' so we just made it work " says Jenn De Torres who did Skepta's tattoo.